The aim of the present study is to determine the micro-morphological properties of the leaf surfaces of nine species belonging to the family Chenopodiaceae, using scanning electron microscopy (SEM). Leaf surfaces were noticed to vary considerably with respect to cuticle structural types, stomatal pores position, guard cells cuticular ledges and types of trichomes. Lamellate and lamellate-reticulate cuticular types were recognized. These cuticular folds undergo various patterns, depth and orientation in the various species examined. Sunken, ridged, leveled, raised or depressed stomatal pores were encountered, whereas, the guard cells ledges were poorly or well- developed. In Suaeda vermiculata the stomatal pores are sunken in high longitudinal folds rendering the ledges indistinct. Non-glandular unbranched trichomes were detected in Bassia muricata, and collapsed salt bladders were reported in Atriplex leucoclada. The results showed that the micro-morphological characters of the leaf-surfaces examined are considered to be adaptations in response to arid conditions. Akcin, O.E, Senel, G. and Akcin, Y. (2012). Leaf epidermis morphology of some Onosma (Boraginaceae) species from Turkey. Turkish Journal of Botany, 37-55-64. Doi: 10.3906/bot-1202-33. Bargel, H., Koch, K., Cerman, Z and Neinhuis, C. (2006). Structure-function relationships of the plant cuticle and cuticular waxes – a smart material? Evan Review no. 3. Functional Plant Biology, 33 (10): 893-910. Doi: 10.1071/FP06139. Barthlott, W., Mail, M., Bhushan, B. and Koch, K. (2017). Plant surfaces: structures and functions for biomimetic innovations. Nano- Micro Letters, 9(23): 1-40. Doi: 10.1006/s40820-016-0125-1. Bauer, U., Scharmann, M., Skepper, J. and Federle, W. (2013). Insect aquaplaning on a superhydrophilic hairy surface: how Heliamphora nutans Benth. Pitcher plants capture prey. Proceedings of the Royal Society B: Biological Sciences, 280 (1753): 2012.2569. Doi: 10.1098/rspb.2012.2569. Bauer, U., Jetter, R., and Poppimga, S. (2018). Non-motile traps. In: Ellison, A.M. and Adamec, L. (eds.). Carnivorous plants, physiology, ecology and evolution. Oxford University Press, Oxford. Doi: 10.1093/050/9780198779841.001.0001. Carpenter, K.J. (2006). Specialized structures in the leaf epidermis of basal angiosperms: morphology, distribution and homology. American Journal of Botany, 93(5): 665-681. Doi: 10.3732/ajb.93.5.665. Gaume, L., Gorb, S. and Rowe, N. (2002). Function of epidermal surfaces in the trapping efficiency of Nepenthes alata pitchers. New Phytologist, 156(3): 470-489. http://doi.org/10.1046/j.1469-8137.2002.00530.x. Gorb, E., Haas, K., Henrich, A., Enders, S., Barbakadze, N. and Gorb, S. (2005). Composite structure of the crystalline epicuticular wax layer of the slippery zone in the pitchers of the carnivorous plant Nepenthes alata and its effect on insect attachment. Journal of Experimental Biology, 208: 4651-4662. Doi: 10.1242/jeb.01939. Hunt, L., Amsbury, S., Baillie, A., Movahedi, M., Mitchell, A., Afsharinafar, M., Swarup, K., Denyer, T., Hobbs, J.K., Swarup, R., Fleming, A.J. and Gray, J.E. (2017). Formation of the stomatal outer cuticular ledge requires a guard cell wall proline- rich protein. Plant Physiology, 174: 689-699. https://doi.org/10.1104/pp.16.01715. Jenks, M.A. (2002). Critical issues with the plant cuticle's function in drought tolerance, In: A.J. Wood (ed. ), Biochemical and molecular response of plants to the environment, p. 97-127. Research Signposts, Kerala, India. Jimenez, M.S., Zellnig, G., Stabentheiner, E., Peters, J., Morales, D. and Grill, D. (2000). Structure and ultrastructre of Pinus canariensis needles. Flora, 195(3): 228-235. https://doi.org/10.1016/S0367-2530(17)30975-1. Jordan, G.J., Weston, P.H., Carpenter, R.J., Dillon, R.A. and Brodribb, T.J. (2008). The evolutionary relations of sunken, covered, and encrypted stomata to dry habitats in Proteaceae. American Journal of Botany, 95:521-530. Klopper, R.R. and van Wyk, A.E. (2001). The genus Salsola (Chenopodiaceae) in Southern Africa: Systematic significance of leaf anatomy. South African Journal of Botany, 67(4): 540-551.https://doi.org/10.1016/S0254-6299(15)31186-8. Koch, K. and Barthlott, W. (2009). Superhydrophobic and superhydrophilic plant surfaces: an inspiration for biomimetic materials. Philosophical Transactions of the Royal Society A, 367: 1487-1509. Doi: 10.1039/B804854A. Koch, K., Bhushan, B. and Barthlott, W. (2008). Diversity of structure, morphology and wetting of plant surfaces. Soft Matter, 4: 1943-1963. Labidi, N., Ammari, M., Mssedi, D., Benzerti, M., Snoussi, S. and Abdelly, C. (2010). Salt excretion in Suaeda fruticosa. Acta Biol. Hung, 61(3): 299-312.Doi: 10.1556/ABiol.61.2010.3.6. Larcher, W. (2003). Physiological plant ecology, Forth Eds., Cambridge University Press, U.K. https://www.sprnger.com/gp/book/9783540435167. Lyshede, O.B. (1979). Xeromorphic features of three stem assimilant in relation to their ecology. Botanical Journal of the Linnaean Society, 78(2): 85-98.https://doi.org/10.1111/j.1095-8339.1979.tb02187.x. Maiti, R., Rodriguez, H.G., Balboa, P.C.R., and Kumari, A. (2016). Leaf surface anatomy in some woody plants from northeastern Mexico. Pakistan Journal of Botany, 48(5): 1825-1831. https://inis.iaea.org/search/search.aspx?orig_q=48014103. Neinhuis, C. and Barthlott, W. (1997). Characterization and distribution of water-repellent, self-cleaning plant surfaces. Annals of Botany, 79(6): 667-677.https://doi.org/10.1006/anbo.1997.0400. Oran, S.A. and Al Zoubi, E. (2016). The impact of the emitted dust from Zarka (Jordan) petroleum refinery on plant biodiversity. International Journal of Current Research in Bioscience and Plant Biology, 3(6): 1-13.Doi: 10.20546/ijcrbp.2016.306.001. Pautov, A., Bauer, S., Ivanova, O., Krylova, E., Sapach, Y. and Gussarova, G. (2017). Role of the outer stomatal ledges in the mechanics of guard cell movements. Tree – Structure and Function, 31(1): 125-135. Doi: 10.1007/s00468-016-1462-x. Pearce,D.W., Millard, S., Bray, D.F. and Rood, S.B. (2005). Stomatal characteristics of riparian poplar species in a semi-arid environment. Tree Physiology, 26:211-218. Doi: 10.1093/treephys/26.2.211. Pfundel, E.E., Agati, G. and Cerovic, Z.G. (2006). Optical properties of plant surfaces. In: Riederer, M. & Muller, C. (eds.). Biology of the cuticle. Blackwell Publishing Ltd, Oxford. https://doi.org/10.1002/9781119312994.apr0234. Prum, B., Seidel, R., Bohn, H.F. and Speck, T. (2012). Plant surfaces with cuticular folds are slippery for beetles. Journal of the Royal Society Interface, 9(66): 127-135. Doi: 10.1098/rsif.2011.0202.Epub2011Jun3. Renzaglia, K.S., Villarreal, J.C., Piatkowsk, B.T., Lucas, J.R. and Merced, A. (2017). Hornwort stomata: Architecture and fate shared with 400 million year old fossil plants without leaves. Plant Physiology, 174:788-797.Doi: 10.1104/pp.1700156. Riederer, M. and Muller, C. (2006). Biology of the plant cuticle. 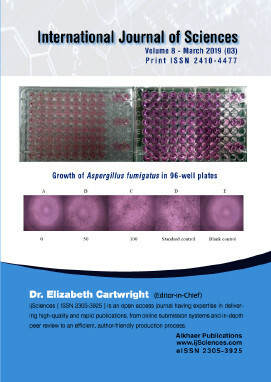 Blackwell Publishing Ltd. Doi: 10.1002/9780470988718.fmatter. Shabala, S. (2013). Learning from halophytes: physiological basis and strategies to improve abiotic stress tolerance in crops. Annals of Botany, 112(7): 1209-1221. Doi: 10.1093/aoblmct205. Sukhorukov, A.P. (2012). Taxonomic notes on Dysphania and Atriplex (Chenopodiaceae). Willdenowia, 42(2): 169-180.https://doi.org/10.3372/wi42.42202. Sun, N., He, X., and Zhou, S. (2010). Epidermal morphology of Ligusticum (Apiaceae) from China. Annales Botanici Fennici, 47(4): 261-279. https://doi.org/10.5735/085.047.0403. van Wyk, A.E., Robbertse, P.J. and Kok, P.D.F. (1982). The genus Eugenia L. (Myrtaceae) in southern Africa: the structure and taxonomic value of stomata. Botanical Journal of the Linnaean Society, 84:41-56. Waldhoff, D. and Parolin, P. (2010). Morphology and anatomy of leaves. In: Junk, W.J., Piedade, M.T.F., Wittmann, F., Schongart, J. and Parolin, P. (eds.). Amazonian floodplain forests: Ecophysiology, biodiversity and sustainable management (pp. 179-202), Springer https://hdl.handle.net/11858/100-001M-0000-000F-D518-2. Walter, D.R. (2006). Disguising the leaf surface: the use of leaf coatings for plant disease control. European Journal of plant Pathology, 114(3): 255-260.Doi: 10.1007/s/0658-005-5463-7. Wang, J., Meng, Y., Li, B., Ma, X., Lai, Y., Si, E., Yang, K., Xu, X., Shang, X., Wang, H. and Wang, D. (2015). Physiological and proteomic analysis of salt stress response in the halophyte Halogeton glomeratus. Plant, Cell and Environment, 38:655-669. Doi: 10.1111/pce.12428. Zarinkamar, F. (2007). Stomatal observations in dicotyledons. Pakistan Journal of Biological Sciences, 10(2): 199-219. Doi: 10.3923/pjbs.2007.199.219. Zhang, M. and Zhu, G. (1016). Resurrection of the genus Botrydium Spach (Chenopodiaceae), with a description of four new species from China, Peru and Burundi. Plant Diversity, 38(6): 322-329. https://doi.or/10.1016/j.pld.2016.10.005.